Wilson from the Mara Elephant Project are tracking an elephant that are collared by the Mara Elephant Project, Wilson is in charge of tracking all 23 of MEP’s collared elephants and relaying their coordinates to MEP rangers in the field if a conflict is near. He has almost real-time alerts for elephants in danger or a failed collar. Mara Elephant program is working to determine elephant corridors and movement patterns, particularly those that cross borders into the Serengeti. They also have Quick Response Unit, that is on the front line of the anti-poaching in the Mara. 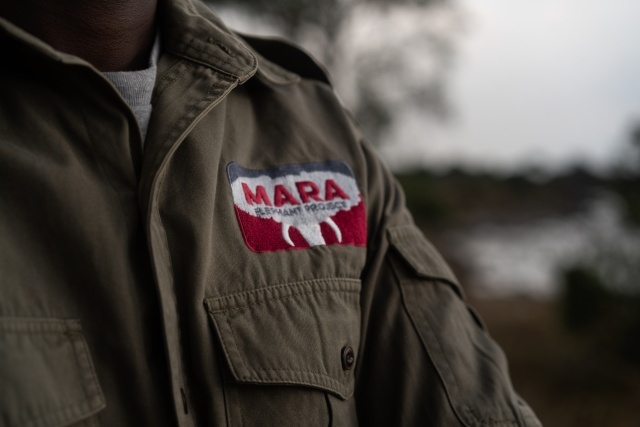 The project also aims to alleviate Human Wildlife Conflicts, by tracking elephants’ movements and deploying Quick Response Teams to intervene during conflicts, Maasai Mara 18th of August. Fredrik Lerneryd / Reuters. I grew up in the Maasai Mara. There used to be lots of space for wild animals and many elephants. The first time I saw an elephant was outside my home. Someone said there was a dead elephant. So all the children ran to see it. It was a really sad sight. I cried all day. When I came home, I told my father I had to see a real elephant in the wild. The following day that’s what I did. I was fascinated. I got into the habit of watching them. I decided I wanted to work with the animals. After I finished school, I went to the Maasai Mara University and from there joined the Mara Elephant Project.To begin with, the biggest problem was poaching. But there was a big drought in 2012. A lot of people lost many cattle. They asked themselves: ‘What are we going to do? Maybe, after this rainy season, we should try to grow crops.’ That’s when the sub-division of land was issued in the Mara too. Before that the Maasai were just living in the village. Now everybody had a right to own land. People started dividing it up, putting up fences and growing maize and sugar cane.Putting up fences blocked the elephant corridors. The elephants started coming into the farms and people used arrows and spears to kill them. When elephants come into contact with people, one side must be affected: either the elephants are culled or people can get killed. Elephants cause a lot of destruction. People started to go out in groups to shoot them. The problem is getting worse as more farms and more fences get set up every year.So my work is helping the elephants. We have collared 23. Each is part of a big herd, so it’s not only one elephant we’re tracking. We now know when elephants are moving towards the farms. We can tell the community and the rangers to block the elephants before they get to the farm and destroy crops. So if he’s moving faster, I can tell the rangers to go and see why. Are people chasing him? Is this elephant injured? If the elephant is not moving, maybe he’s dead. Something else we also see from collaring data, is that during the migrations the elephants get pushed out from the wider reserve by the wildebeest into the conservancies where the farms are located: so the migration is a particularly difficult period for us. I believe that the future of the Mara has to be conservation. People have agreed to lease their land for the animals. People are living in 20 acres, but leasing 150 acres for the animals. We have the elephants here along with many other animals. Take the Mara North Conservancy: there are 800 landowners receiving monthly payments from the local Tourism Conservancy. Partners. If we set up more conservancies and provide more space for the animals, tourists will come. But if we see a reduction in conservancies and more people planting crops, we’ll see animal numbers reduce.But the Maasai love animals and I hope they’ll continue with this approach: they’ll put on another lease for another 15 to 30 years for the conservancies. This will give both us and the animals a future. On patrol with the Elephant Rangers The Mara Elephant Project’s team have to deal with snares and poachers in their work to keep the elephants out of harm’s way. ●It’s 3pm. Wilson from the Mara Elephant Project and three rangers from the Mara North Conservancy are tracking elephants to make sure they don’t stray too far towards farms. ●23 elephants have been fitted with collars which send location data back to a smartphone app on Wilson’s phone. ●The collars don’t do the elephants any harm and last for up to three years, sending back location and movement data on an hourly basis. ●Elephants can be unpredictable and poaching is also a problem, so rangers are armed. ●Once they’re near the location on the phone app, they use binoculars to zero in on the elephants. ●The herd numbers around 20 elephants in total. For now they are staying out of harm’s way, so no action is needed. Wilson will photograph and count them. ●Both poachers and disgruntled farmers use snares to try and catch wildlife. Leaving the safety of the vehicles, the rangers scan an area where it’s thought poachers have laid some. ●This is what they are looking for. They look harmless enough but an animal caught in a snare will die. Releasing an animal caught in a snare is a very difficult and dangerous process. ●Data collected from the collars is also allowing the team to understand broader movement patterns. This is important as more and more fences are being erected by farmers. ●The collared elephants all have names. Hugo was one of the first to be collared as he was destroying a lot of crops. 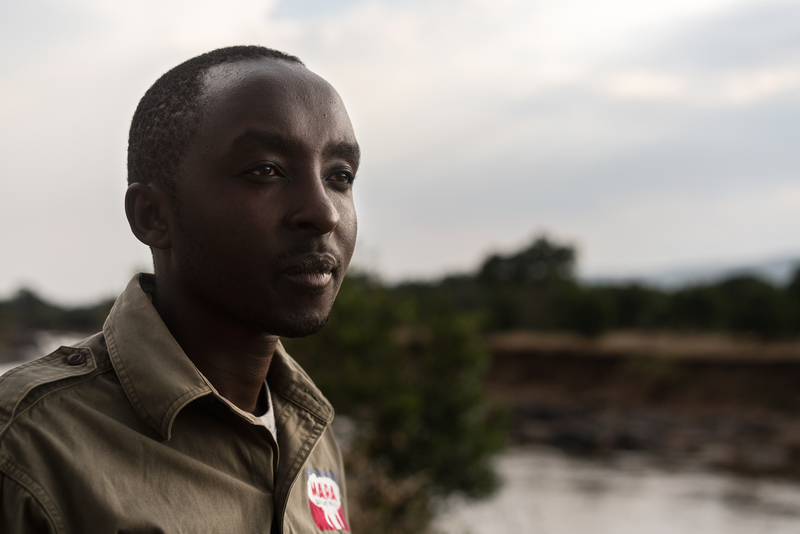 Thanks to the team’s work he’s now kept away from the farms and is safe from harm from poachers.